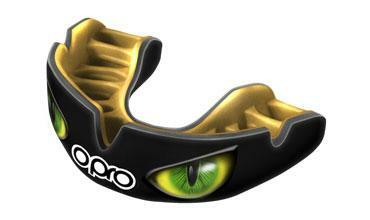 Feel at the top of your league with the Power-Fit England rugby league mouthguard. This striking design will demonstrate your passion for your sport, leaving you to be the rook, and your opponents the rookies. The patriotic colours of red and white will stand out from the crowd and let you wear your gum shield with confidence.